Hello dear friends! 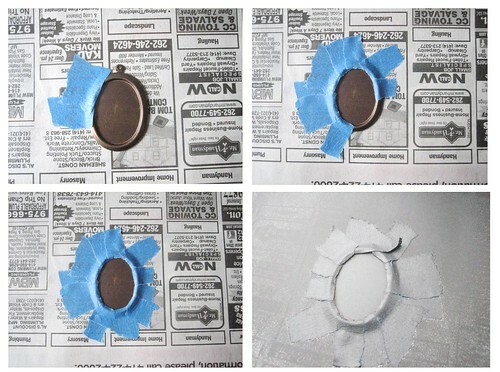 I have a DIY to share. 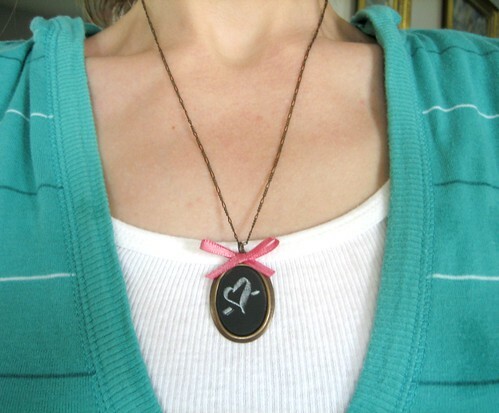 Today, I am going to show you how you can make a sweet, miniature chalkboard necklace. 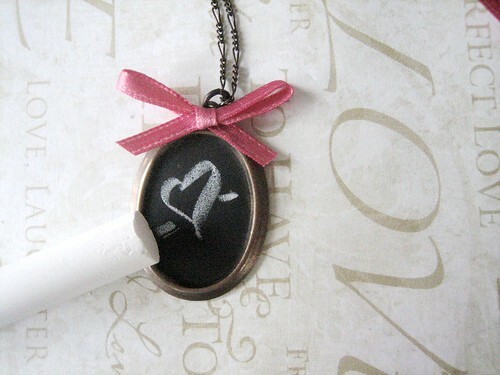 This necklace would make for a super fun (any occasion) gift, as you can include just about any message your heart desires on the chalkboard. Some ideas to get the brain cells moving…get well, bff, love, a special date, initials, a sweet simple “hi”!…you get the drift! Without further ado…let’s get crafting! What do you think friends, will you try this? Warning, you may very well become addicted to adding chalkboard finishes to just about anything (that chalkboard spray is really slick and it works on a multitude of surfaces!). post iss amazing, great ritten and inclսdе almost all vital infos. I’d lioke to peer eextra рosts like this . Blog, you can also make money Blogging by placing Google Adsense into your Blog. What a cute project! I have a tip for the chalk. Just sharpen it in a regular pencil sharpener and voila a finer point to write with! 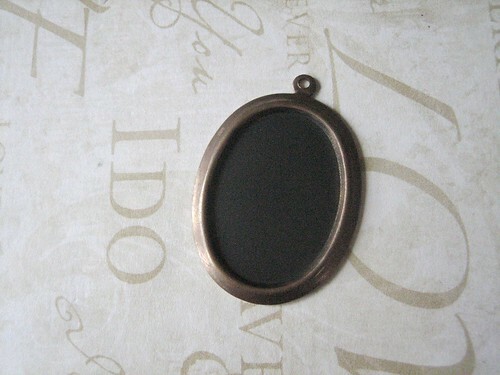 Forget to tell u if u use dog tag it might take up to 2 days to dry and if the weather is cool might take more than that. P/S use spray chalk board paint is easier and quicker. Hi, can i bathe with this on? Thanks! That’s really helpful but I’m afraid I may have to use the dog tags anyway because I’ll go way over my budget otherwise. I’ll make sure to give them enough time to try. I was just worried the spray wouldn’t adhere to the surface of the tags since they’re so polished. 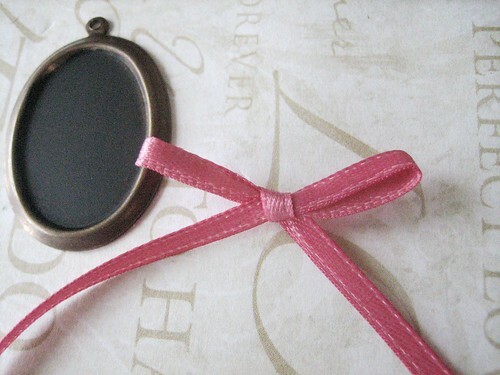 What a really lovely idea, I have a friend who would absolutely love this as a gift, thank you! How much did it cost you to make all together? Do they sell chains like that in the beading section at craft stores? This is simply amazing! 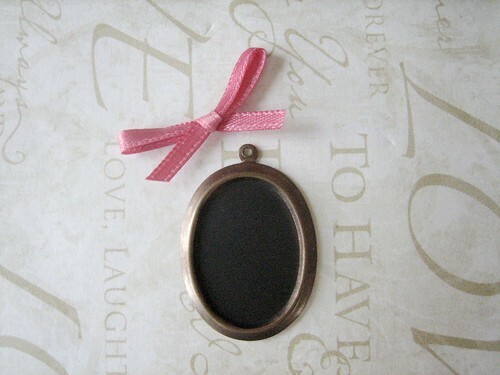 In just 8 steps, using a chalkboard and other easy-to-get items, one can get an adorable gift item. Thanks for this. May I know from step number 2, how come after you sprayed the chalk board paint it will become white colour, it is after a few sprayed it will changed the colour?? I have a chalkboard paint which is in a jug is that ok to do so or need to be a spray?? 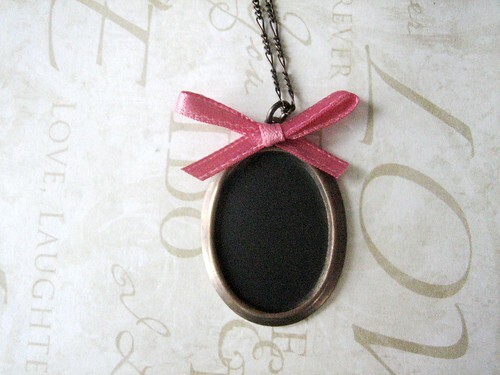 Such an adorable necklace. Thank you for sharing! This is so awesome that I couldnt resist myself without appreciating the work! I am loving it! And here is big thanks for standing as an inspiration for people like me. Merci pour ton tutoriel, ce que tu fais est magnifique ! I’m cleaning out my drawers of things like this that were the “perfect” teacher gift. While I realize this seems cynical, it is not meant that way. I just think maybe someone needs to point out that teachers are people with different tastes and styles. Not everyone likes red apples, cute teachers necklaces, etc. Times have changed and along with it, so has fashion and teachers like fashion as well. Giving gifts like this is like giving the mailman a tiny replica of a mail box for his “collection.” Teachers can use supplies for their classes from their wish lists, books for their classroom, Starbucks gift cards, and the favorite class gift card for their favorite store or a teacher supply store. A $5 Starbucks card could be purchased with the money used for these supplies. Sorry………..don’t mean to be ugly, but practical. I think a miniature mail box would be adorable, for mailpersons and non-mailpersons alike. Love the project – the photos are wonderful but the instructions/text is so light that it is practically unreadable. If I make this project, I will have to do it based on the pictures alone. Don’t know if you can change the color of the text to black but would appreciate something a little darker. Thank you. The problem is not my computer; this is the only website i have a problem with. Where did you get a chain like that? 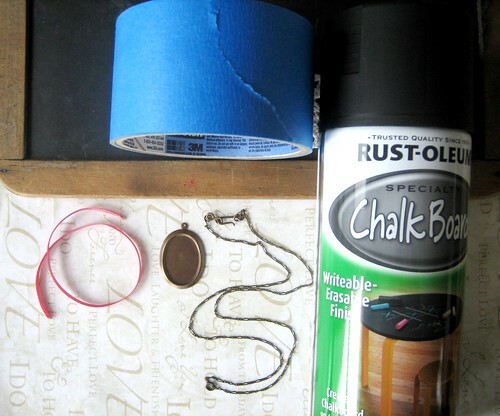 All the ones I find are boring chainlink chains… Thanks, I do everything chalkboard… never thought of jewelry though! What a fun jewelry idea! I love it! Adorable DIY concept. I love it. Thx. This is wonderful! I will definitely be trying this out! I wonder if I can use the paint instead of spray paint? I already have that in the basement! So gorgeous and a wonderful tutorial! Would you mind if I featured a photo from your post (with a link back to you) for my handmade gift themed party? I’d love to include this! 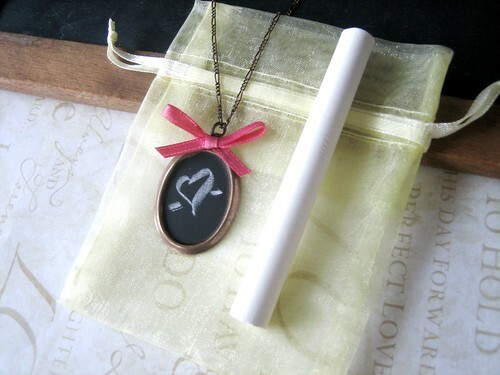 I love these little chalky necklaces! I have included them in a group of great tutorials for women and girls. You can see what else was included if you like here…. Thanks for putting the tutorial together so we can enjoy them too. Lovely…I just shared this on my FB page! EEEEEKS! Such a cute idea! Thanks so much for sharing it! Your pictures are fantastic! This is such a creative and stunning idea! I can definitely use this in my back-to-school scrapbook! Thanks for sharing! This is such a lovely idea! I might have to make some for my friends as Christmas presents :) Thanks for the inspiration! I need some chalkboard paint. Desperately. This is adorable! I want one to use in class (preschool teacher) to write the letter of the week on. Cute and stylish. I absolutely love this! Wow, just wow!!! Isn't Cat so creative? I just love this idea. Thanks for stopping by!! I love this! super cute,I'll sure try it but I dnt have the spray :/ What's the search word I'd use online? That is adorable! And I already have the spray paint! Adorable! I love chalkboard paint but never thought of this! 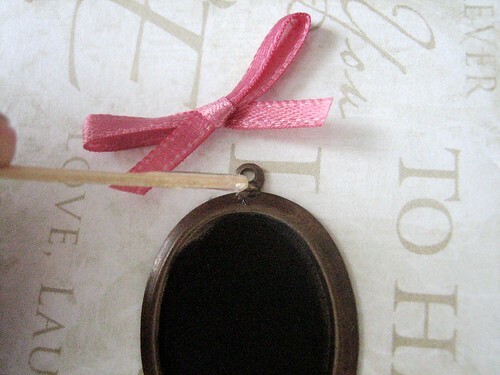 Now we need a tut on making thin chalk sticks so we can write more on our charm. :) "Walk Away" or "Tread with Care"
Hi! Thanks for visiting my blog! :) I LOVE Cat. She is amazing! Love your blog and can't wait to see more great posts from you. I LOVE this idea!!! I might try to put a couple of them on a bracelet and make it a quasi-charm bracelet! That is so cute and so creative. It would be perfect for a teacher! Great post! Oh my gosh…I LOVE this! I'll definitely be trying this out! Oh my goodness I love this idea! I already have some leftover chalkboard paint from a project I did a while back, so this is definitely going on my to-do list! By the way, No it is not tacky to request a DQ cake for your b-day! My favorite birthday cake is actually the cheep grocery store kind, mostly because I love the super sugary frosting! Such a great idea! Love the PMS comment above! Too too funny! well this is sure a treat to see today! i can't tell you how much i adore Cat, like it's mad amounts and to see her feature here makes me swell up with even larger loves, if that's even possible. 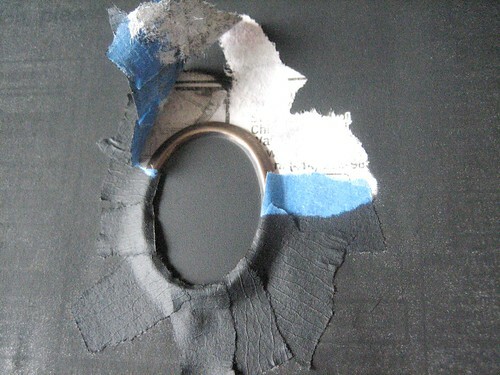 her jewelry diy's and all the other incredible creations she makes blow my mind continuously. love the collabz ladies. Chalkboard paint is to fun!! I love this idea. I haven't been this creative with my chalkboard paint but this is inspiring!! EEEEKK! I love it! Chalkboard paint is so much fun..endless projects! Oh I love this! What a fun little necklace! Oh, that opens up so many fun ideas! Like “PMS” … a not-so-subtle hint! i m going shopping in a few days.I will the supplies. thak you so much for the directions. I’m sure you’ll have fun making it!